Arrival (airport meet) and transfer into a hotel in Accra. breakfast ,Nungua coffin makers,Artist alliance gallery, Lunch, Relax, Check in at Airport,Departure. (not camera fees) / our charges/ incidentals Grand Total about £ 1400 or $ 2, 600 a couple. Many festivals include thrilling durbars of chiefs, when tribal leaders and Queen Mothers process in decorated palanquins, shaded by traditional umbrellas, and supported by drummers and warrior discharging ancient muskets. In Ashanti, the Adae and Akwasidae festivals vividly bring the splendour of the Asante kingdom to life, when the Ashantehene (King), adorned in all his gold regalia, comes out to receive the homage of his people. The Asantehenes dancers, praise-singers and horn-blowers surround the King and his procession, in a never-to-be-forgotten spectacle. 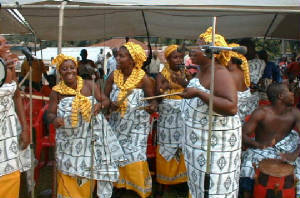 The dates of many festivals are determined by traditional calendars, often decided close to the event. Day 3:After a morning tour of Accra, we drive you through the villages north east of Accra to the 100 year old Aburi Botanical Gardens. 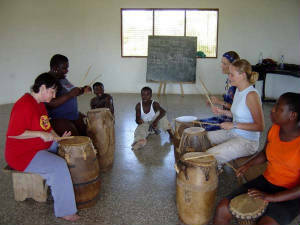 Here, you will discover more of the indigenous flora of Ghana, and you are welcome to see some of the research facilities as well. 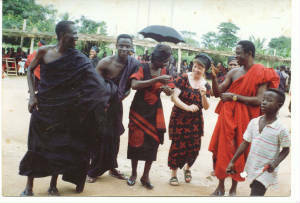 On your return, you explore Legon, home of the university of Ghana, with its small botanical garden. Overnight Accra. Day 4:Leaving Accra, we drive you along the coast, through several fishing villages to Cape Coast the regional capital of the Central region. 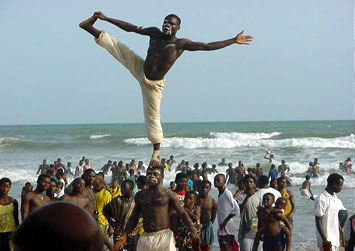 This is the site of Cape Coast castle one the famous 16th century slave castles in Ghana. 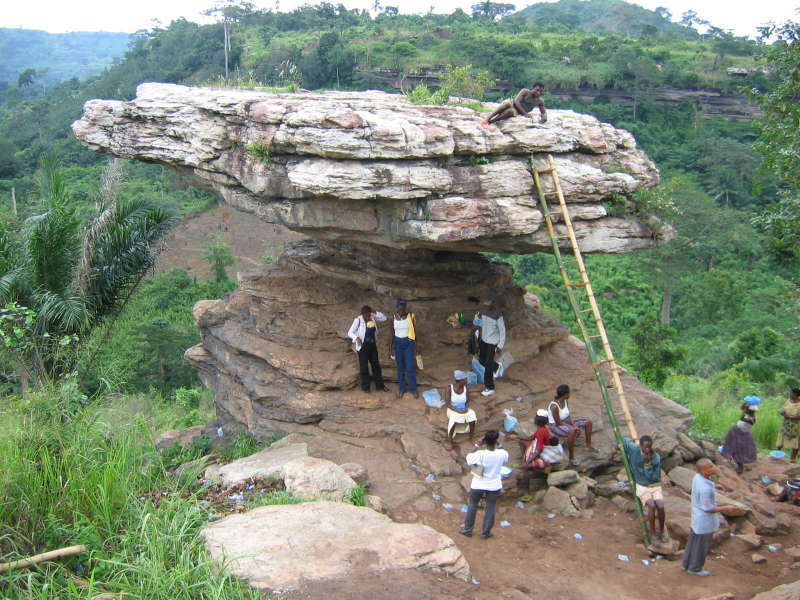 North of Cape Coast is Kakum National Park, 360km2 of natural rainforest and home to varieties of birds, butterflies and mammals mostly seen in the early mornings and the late evenings. Overnight Cape Coast. Day 7:South of Kumasi is the Lake Bosomptwi, a quiet crater Lake surrounded by forest-clad hills. The hillside is rich in animal and bird life, you can take a local trail around the lake visiting some of the small fishing villages that ring the waters. Overnight Kumasi. Day 8:The road north of Kumasi to Mole takes us through Brong Ahafo, the agricultural basket of Ghana. 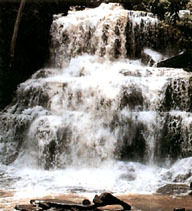 A stop over for a break is at Kintampo Falls where the attractive cascades are hidden inside the forest. Overnight Mole Park Motel. Day 9:Mole National Park is the largest in Ghana and has significant numbers of monkeys, antelopes and elephants. The best time to see the game is in the early mornings and in the late afternoons. 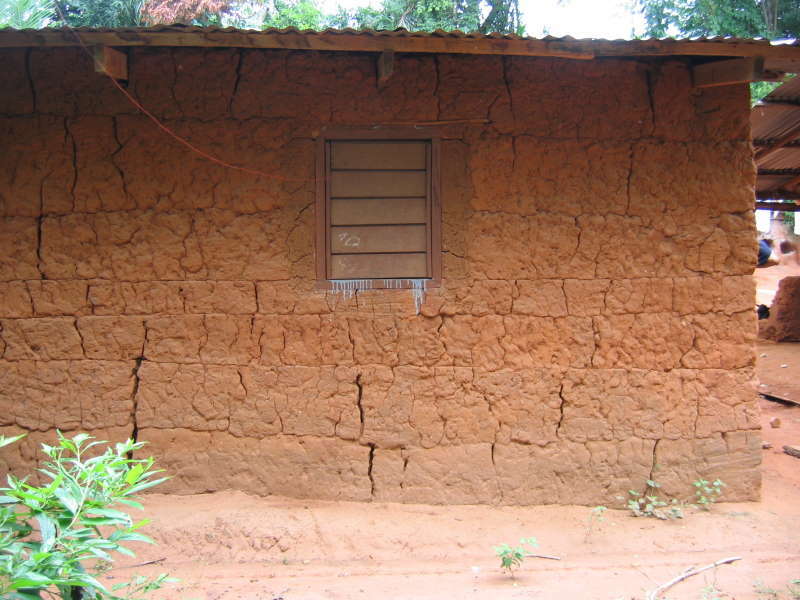 During the day, we take you to Larabanga, the site of the oldest mosque in Ghana. Overnight Mole Motel. Day 10:We take you to see Tamale for a day. See the smock and basket markets and interact with the people. A trip to Paga to See the Crocodiles is possible on request. Overnight Tamale. Day 12: Kumasi, we drive you through the rolling hills of the Eastern region to Akosombo. 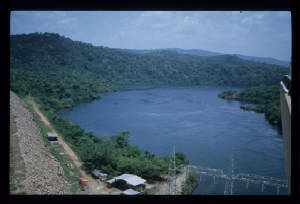 This is where Lake Volta and the only suspended dam in Ghana (Akosombo Dam) which supplies electricity to much of the regions is. Overnight Akosombo. Day 13:Today is a rest day but enjoy the River Volta.The river is one of the world's largest man-made rivers. On Sundays, it is popular to cruise to the Dodi Islands on the Dodi Princess. Enjoy this relaxing trip.Overnight Akosombo. Note: Tour price and Tour Information are subject to change. Your actual tour price will be calculated when your itinerary is confirmed.